Holy sh*t! The age of open source is nigh. And I just hoped that this was the case years ago. Yeah, so I started my computer gaming career more than a decade ago when the best games were Frogger, and, if you’re lucky, Prince of Persia. 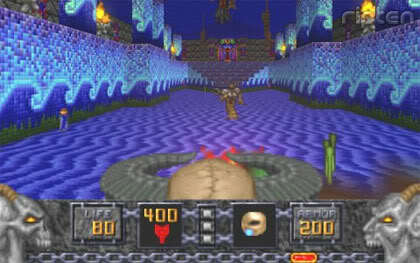 Then came Wolfenstein 3D and then Doom. Sometime during that era were spin-offs like Heretic and Hexen. I love revisiting my childhood but getting those games always meant having to resort to some “creative” ways. Now you don’t have to as they’ve finally released Heretic and Hexen under full GNU Public License. And this means a lot to those gamers looking for an old school fix. Not can you download and play the darned games, we’re now all free to modify and distribute the source code as we wish. That means no more breaking the law to enjoy these 3D FPS classics. Get the source codes over at their Sourceforge page.